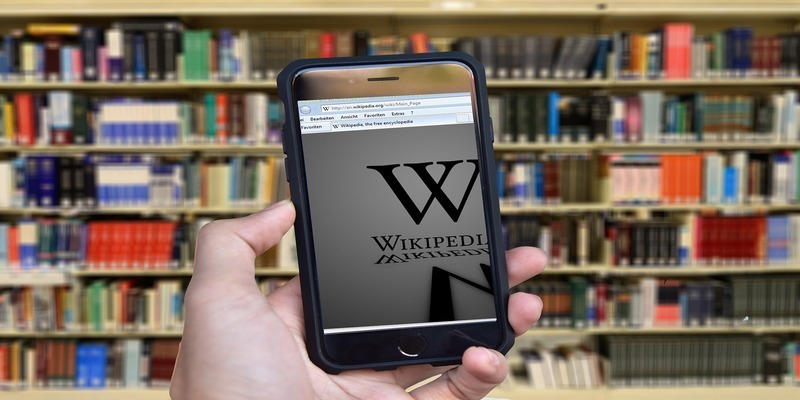 One of the largest and most successful examples of a wiki site is Wikipedia, whose content is contributed by volunteers from different parts of the world. It is also edited and maintained by volunteers, while allowing anyone to contribute to the site. This has made it one of the top ten most popular websites globally, with hundreds of millions of readers each month and millions of articles in more than 250 languages. A wiki is a great tool for communicating and working with other people on a project. It helps teams and organizations collect and capture knowledge and gather content from several sources, while sharing ideas and plans. If you’d like to actively capture and build knowledge, whether for your personal wiki or an organizational one, here’s how you can create your own wiki site. There are a variety of options that can help you set up your wiki site. Among the wiki hosting options you can choose from are Windows SharePoint, MediaWiki and Wikia, which are free to use and will allow you to create your wiki site from scratch. Paid services like Same Page offer templates and tools for you to get started. They also work with you to deploy your wiki site and maintain it. There are also options like TikiWiki, which allow you to host a private wiki on your enterprise’s intranet. As you pick a free or paid wiki hosting service, consider why you need the wiki, the number of people involved in the project, and the time you’ll devote to the setup and maintenance of the site, plus the security level needed. The simplest and easiest way to create a wiki site is by using Google Sites. You don’t need technical know-how, plus its user-friendly interface lets you create easy-to-use and visually appealing wikis. 1. 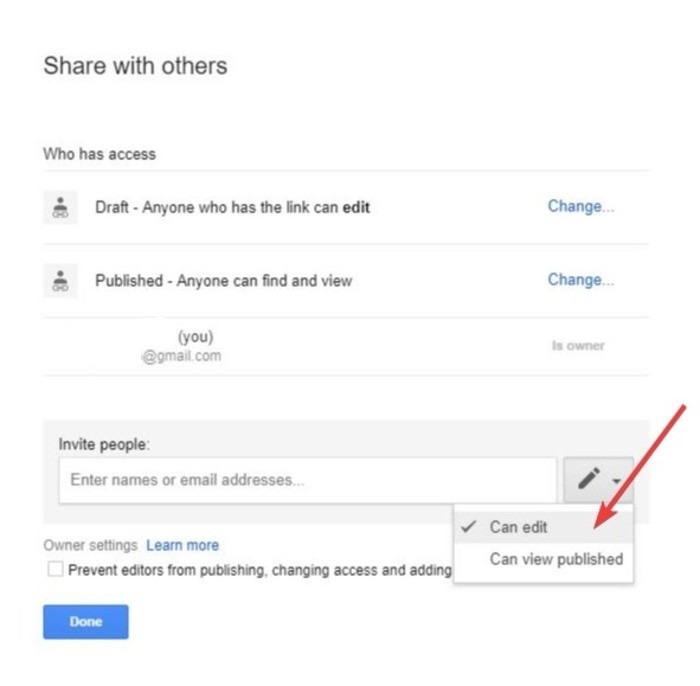 Sign up for an account in Google to create a wiki site with Google sites. 2. Go to Google Sites. 3. Click the “+” sign at the bottom-right to create a wiki site. 4. 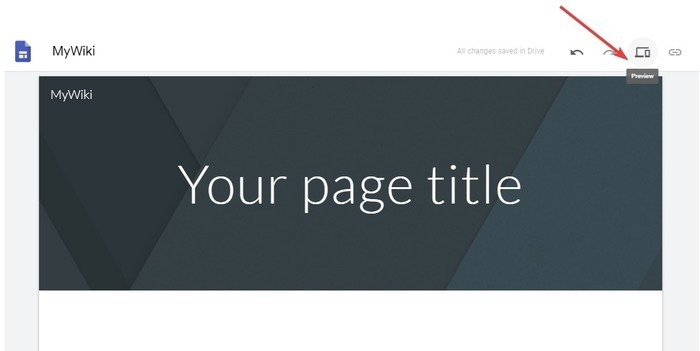 Pick a layout template for your site. 6. You can choose to share it publicly or with a group of people you work with. Go to the “Share With Others” icon at the top-right menu and click on it. 8. If you want specific people to access it, select Draft and click Change. 9. 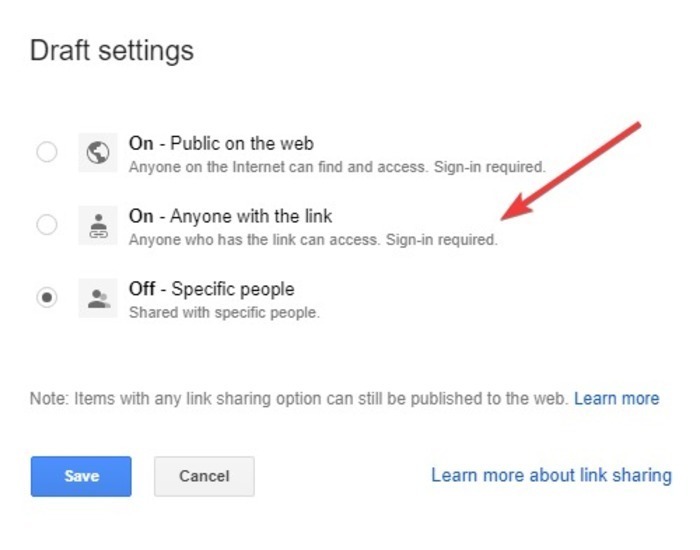 Select “Anyone with the link,” and the people you share the link with will get access to the wiki. 10. 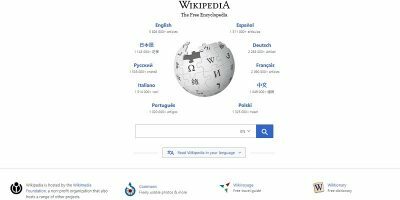 Customize your wiki’s theme. 11. Click “Color and Fonts” menu and pick a header, background, font colors and image. 12. Click the Preview icon at the top-right to see your site before publishing. 13. 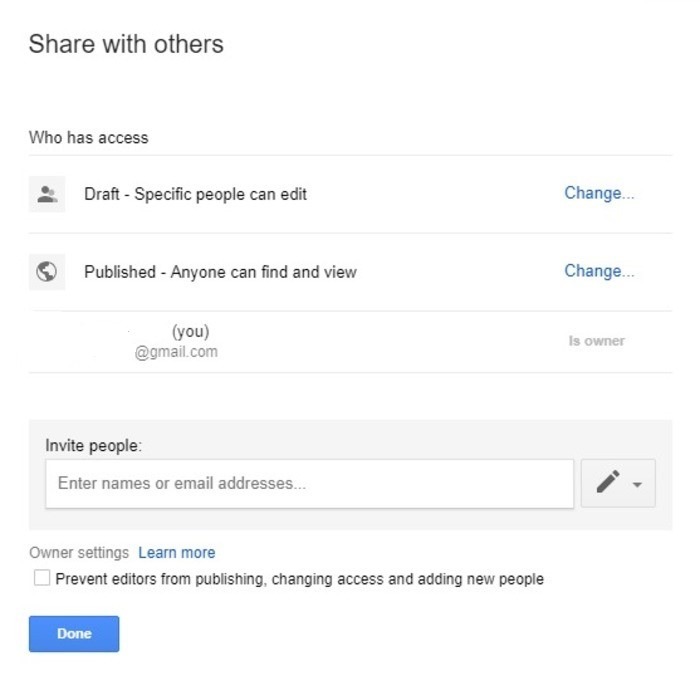 Google Sites allows you to insert Google documents like a presentation, spreadsheet, or photo album into your wiki site from the Insert tab. 14. Click Publish once satisfied with your wiki site. We’d love to hear your experience with creating your own wiki site. Share in a comment below.